Warning: The Kettlebell swing is known to blast fat, condition and make people stronger! Would you think it would be “too good to be true? !” thankfully is doesn’t have to be, I Moses Correa RKC II am now offering an online video series, geared towards teaching you the kettlebell swing safely and then showing you how to work out with it. What will this video series do for you? • Teach you how to perform the swing without hurting you back as you work out! • Show you how to swing it a safe and intelligent way that not overwhelm you as you do it; increasing your ability to learn! • Help you get a workout that will challenge both mind and body as you learn! With all of this benefit along with the user’s guide that comes with it, you could expect to pay anywhere from $150 to $200. But, it is available to you for a price of $15 for a limited time! Also as an added bonus, you will also get the ability to send me two technique videos to better help you with your learning, a $130 value! If you’re looking to improve in KB, he’s your guy. After only training with him two times I pressed my PR. Very knowledgeable. Moses is a very rare type of instructor who balances refined pedagogy with spontaneous and encouraging instruction. When I started kettlebells with intent to practice kettlebell swings I was clueless to the difference between squats and hinges. Moses’ instruction at that point was like occam’s razor. 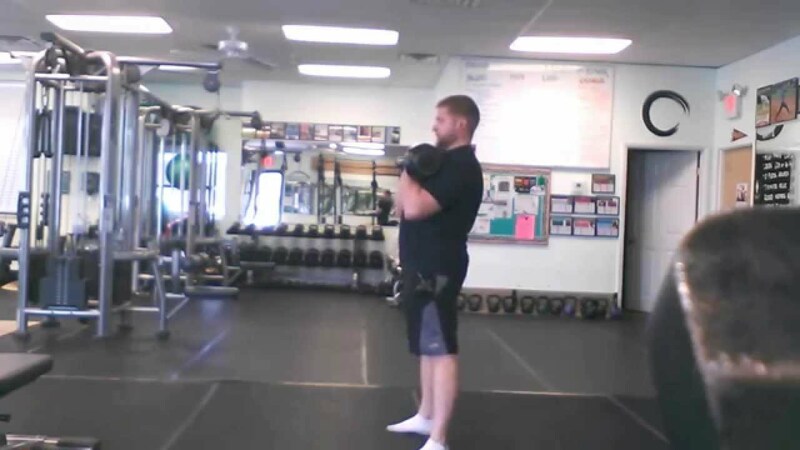 Very simply, without getting into too much detail in the beginning, he pointed out that a hinge and squat are different, and helped me develop a hip hinge position through his excellent videos. Moses has an uncanny ability to isolate the bare minimum required for maximum progress. He keeps things in the here-and-now and encourages consistent development. This makes him a great coach for online coaching. A person seeking online coaching might get carried away without the ‘keep-it-real’ aspect of personal training. Moses provides the best solution with simple, concise, and relevant instruction, which nevertheless presents all the force of a well-refined and experienced system of training. His patience and overall comforting presence are definite bonuses that put him right on top of the qualities for a great coach. Moses has an effortless ability to translate his expert knowledge on functional movement and corrective exercises to all of his clients without getting into the scientific details. He makes things simple to understand. I have no doubt students of his will benefit from his instruction and mentorship. Moses is a compassionate, thorough, and thoughtful instructor–highly competent, proficient, and effective. This is a rare find. Not to mention, his personality and sense of humor makes training with him all that much more enjoyable. If you are serious about discovering what it takes to get yourself into the best possible shape with kettlebells do yourself a favor and give Moses a call. Why not join them and learn how to use/ better use this tool that can finally get you to your fitness goals! Do it today, don’t wait and invest in your health and wellness!